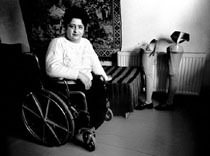 Gyumri- Anahid Egitian is a double amputee and lost both her legs in the earthquake, Feb 1998. Play time at the 9-th School, which is comprised of a series of rotting wooden huts, stuck together, Feb 1998. 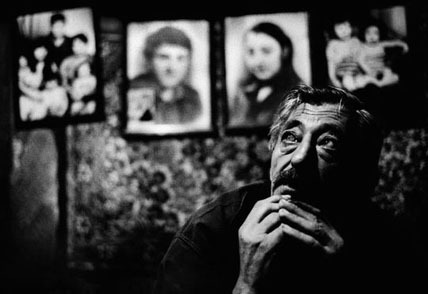 Yurik Vartanian (54).